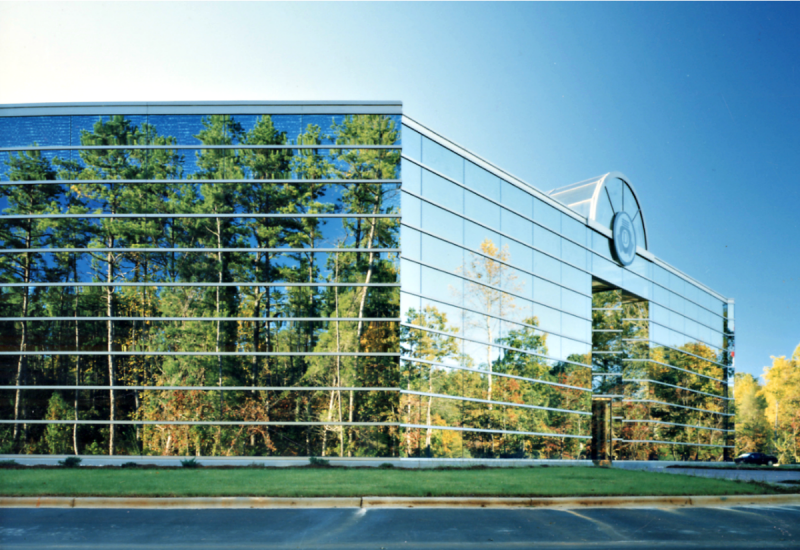 When Switzerland-based Max Daetwyler Corporation relocated their US headquarters from New York State to a wooded site in the Huntersville Business Park, J•PA was enlisted to address the company’s dual needs for administrative offices and manufacturing space. The design for Daetwyler’s new US Headquarters and manufacturing operations features two separate wings, connected by glass pedestrian bridges and configured to form a private landscaped courtyard at their juncture. 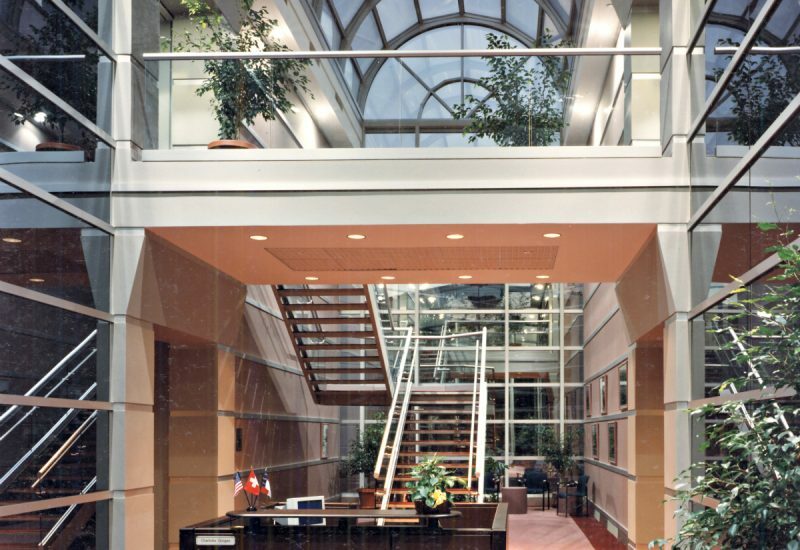 The 32,000-sf office wing feature two stories of Class A office space to accommodate the company’s US executives and administrative staff. The wing’s glass curtainwall provides stunning views of the park-like setting. 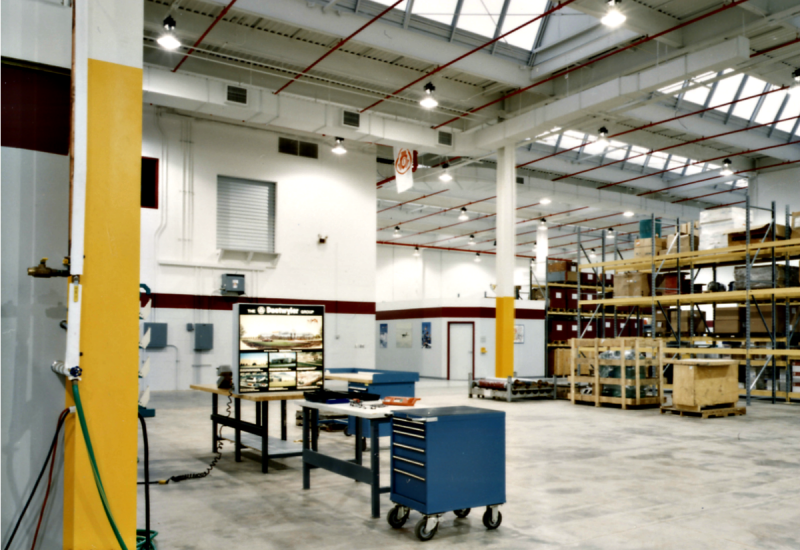 The manufacturing wing provides 40,000-sf of high-bay space and is capable of expanding an additional 15,000 sf, as needed. This area features architectural pre-case concrete walls designed with horizontal reveals to complement the adjacent office wing.